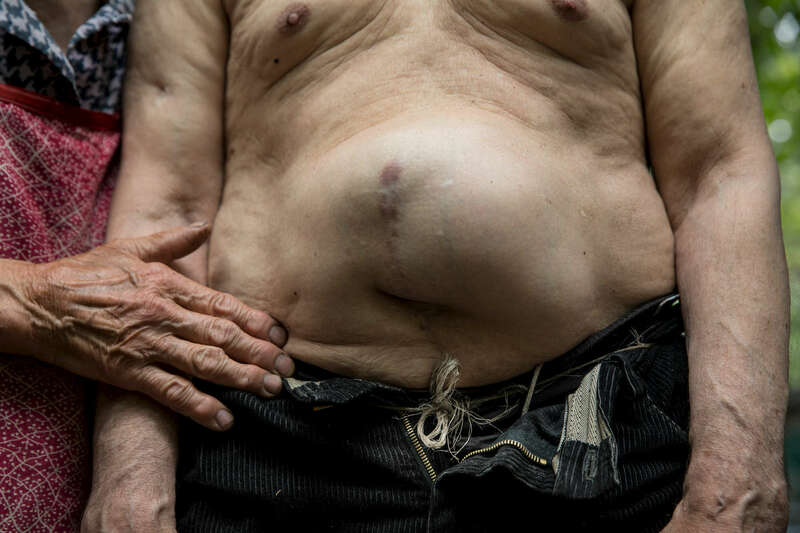 Opytne: Donetsk region: Stanislav Vasilyevich was injured twice by shrapnel, once in his abdomen, requiring surgery. He suffers from a hernia that keeps on growing. Stanislav also suffers from dementia along with his other medical issues. Their village, Opytne depends on humanitarian organizations to help the elderly who refuse to leave their homes and are trapped in a dangerous situation.